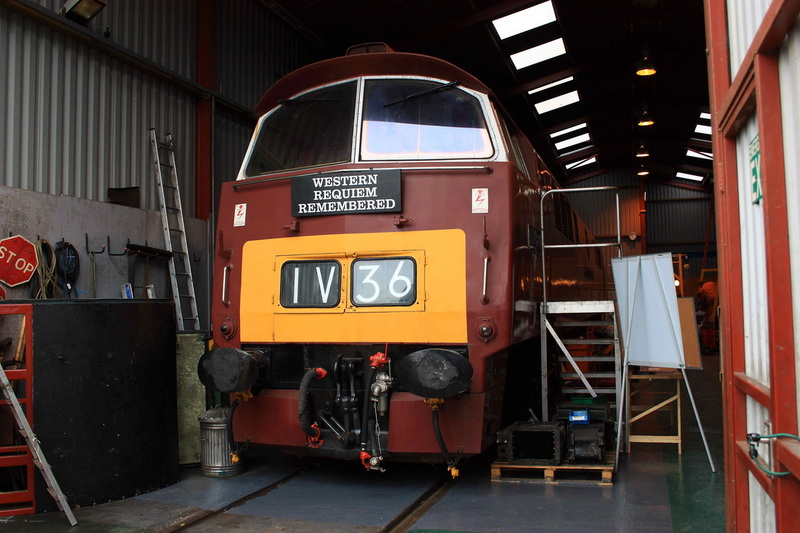 A weekend visit to the West Somerset gala over the weekend of June 12-14, included a trip down the WCML to Euston, and some time at Paddington to get a FGW sevice to Taunton. On the way back, it was X-Country to New Street, and Virgin West Coast back to Lancaster. 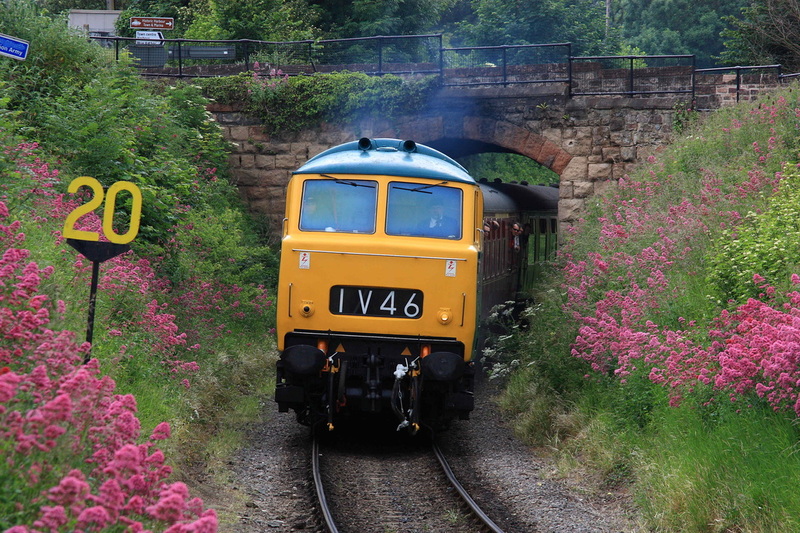 Galleries will be added of images taken at Paddington and Taunton at a later date in the days out section. 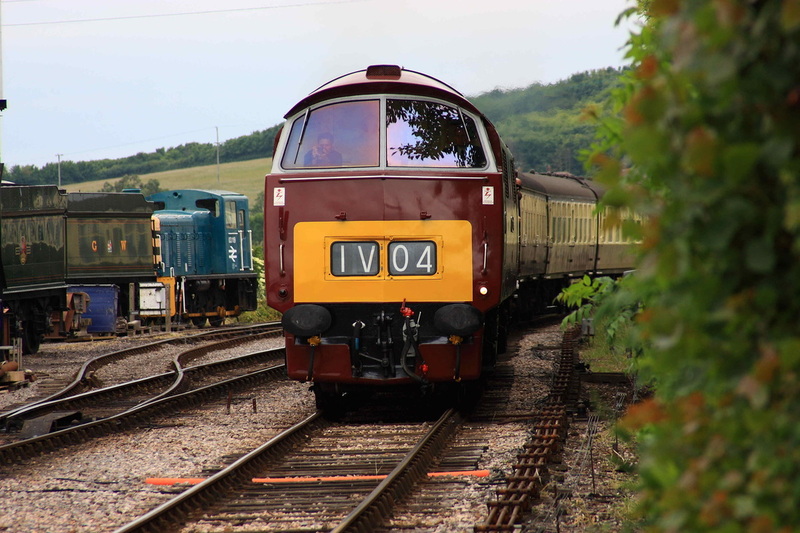 The gala was notable for the presence of Kettle Tornado, which I thought was the only blemish on the weekend,as hundreds of joe public came to see it "as it's a lovely steam loco". PAH! 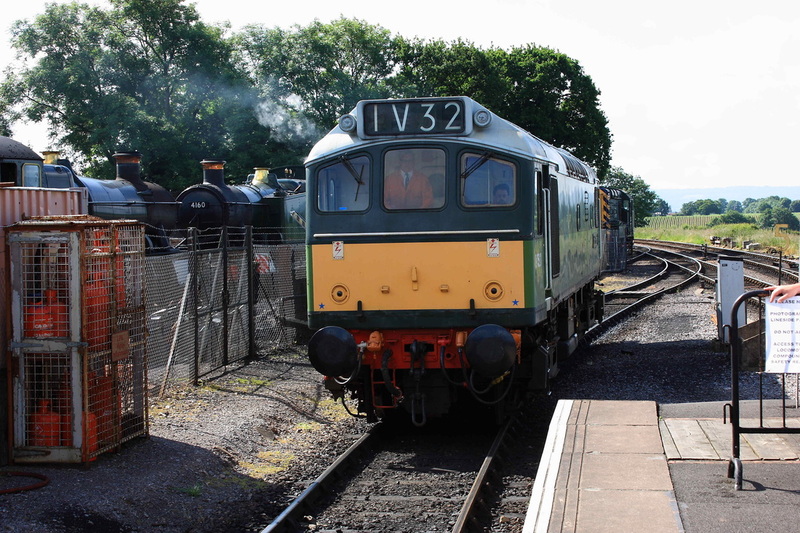 Restored to Western Region BR Green, "North Star" awaits departure from Bishops Lydeard on Friday 12th. The weather was dull on this day, but gradually through the weekend it warmed up and became sunnier, as the following images illustrate. 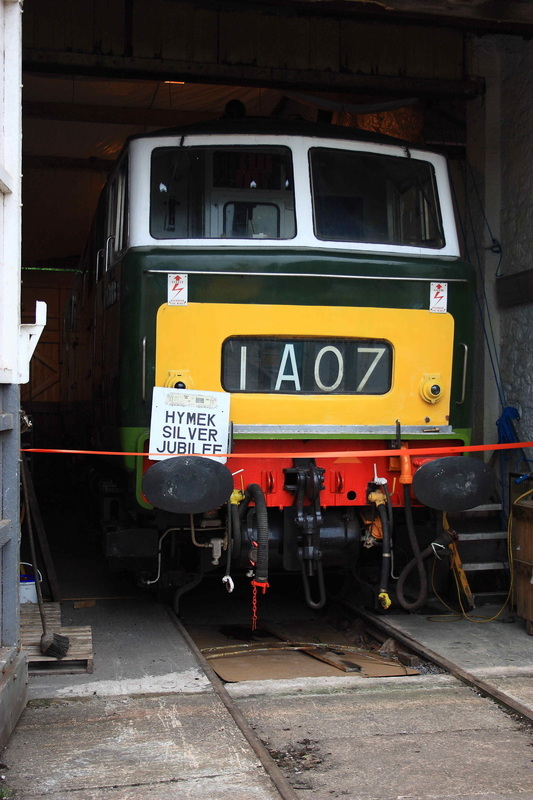 Undergoing restoration, currently having a complete engine rebuild and with plans to be working next year for the 50th anniversary of Hymeks, D7018 stands at Williton. 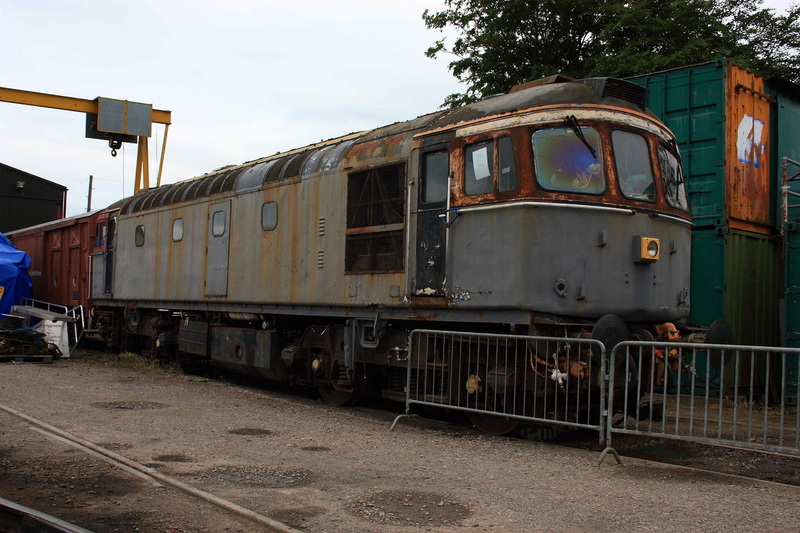 Having survived severe fire damage to one of it's cabs 33057 was originally destined to be a source of spare parts, but now restoration has started to return the loco back to traffic. 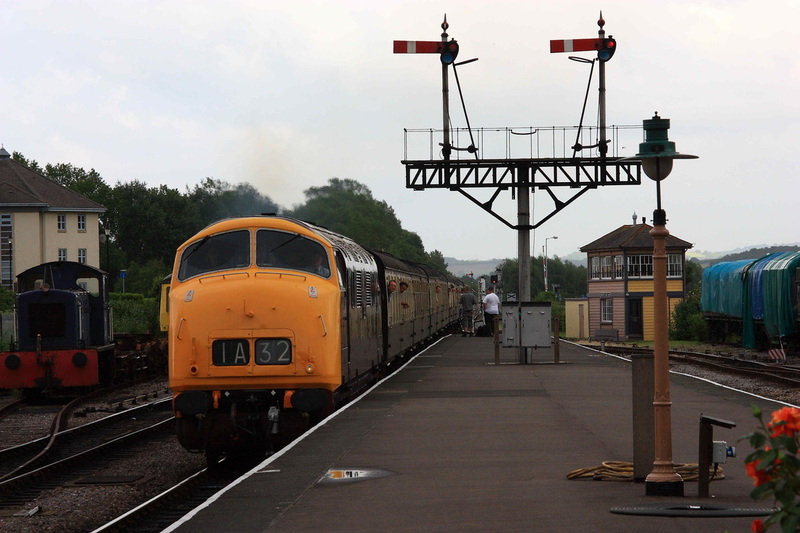 But back at Bishop's it was dull as "Courier" ran round for a return to Minehead. 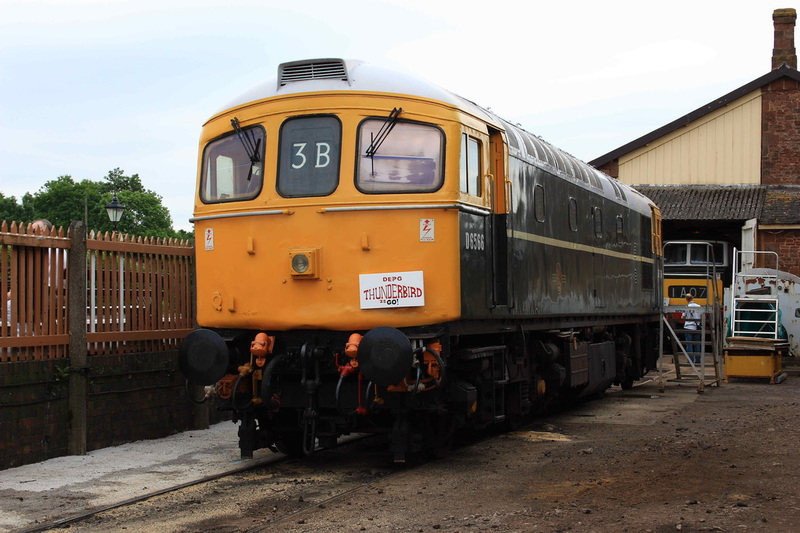 At Minehead, long term visitor D832 "Onslaught" prepares to run onto the new turntable at Minehead, which had only been installed and opened during the early part of 2009. 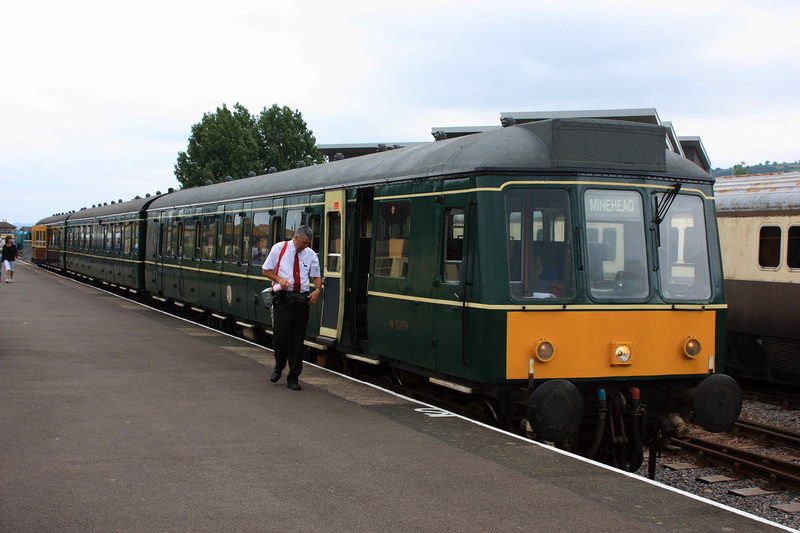 Fisrt Generation DMU at Minehead, which was running shuttles between Minehead and Blue Anchor. 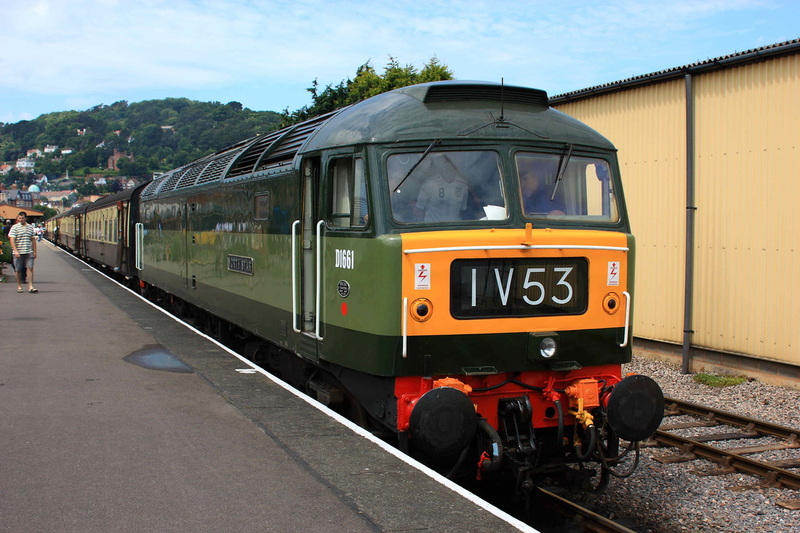 Hymek 7017 enters Watchet on 12/6/2009. 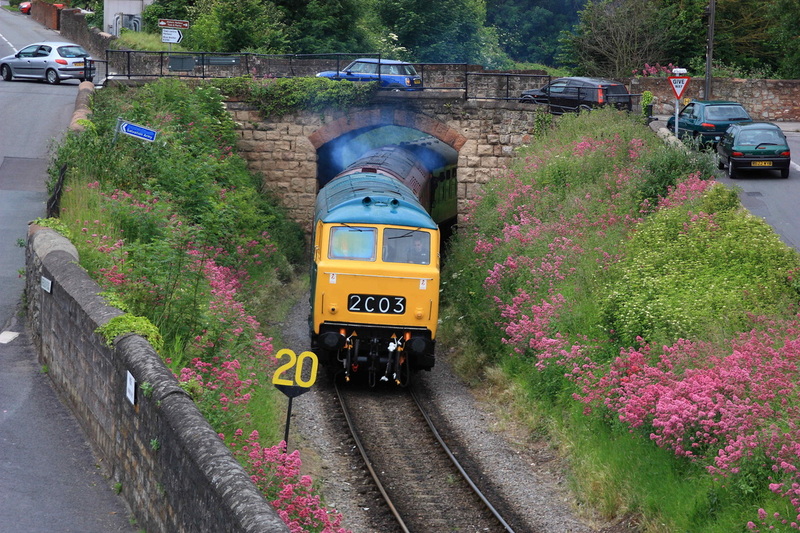 This station also presents a climb for the locos. 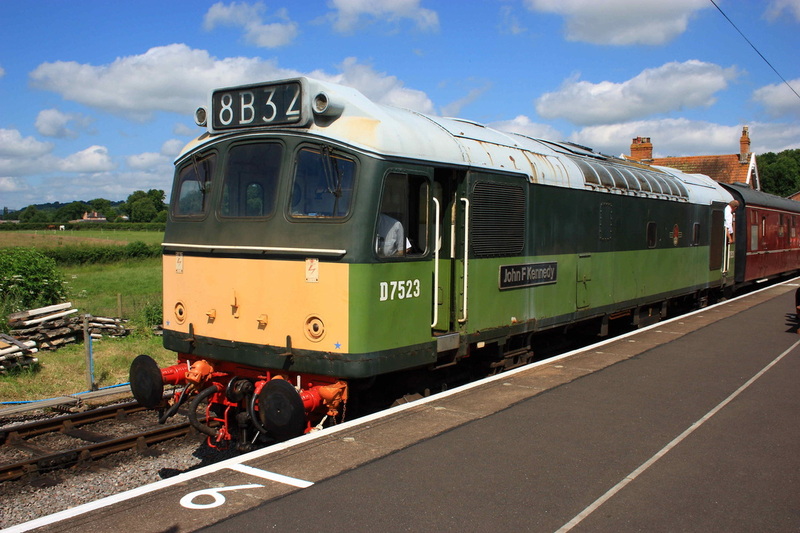 Sunny Saturday, 13/6/2009, and Class 25 D7523 is seen at Bishops' Lydeard. 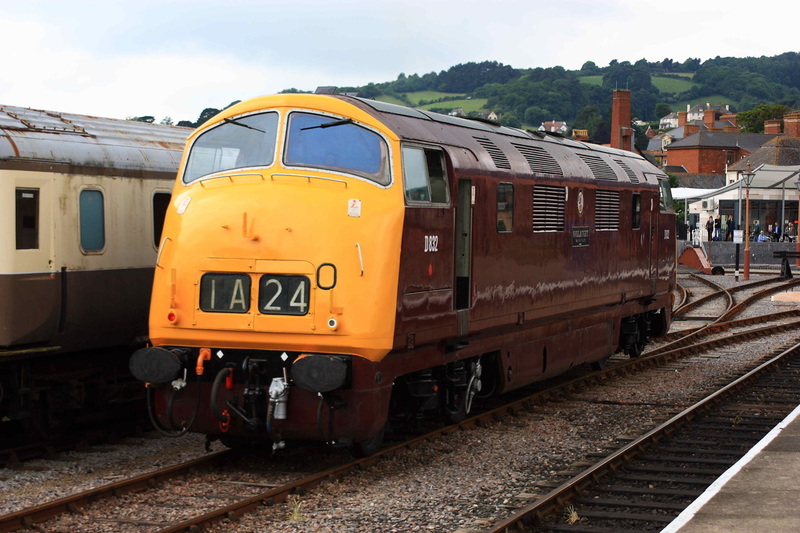 Class 42 "Onslaught" runs off the arrival from Minehead, to await it's next turn. 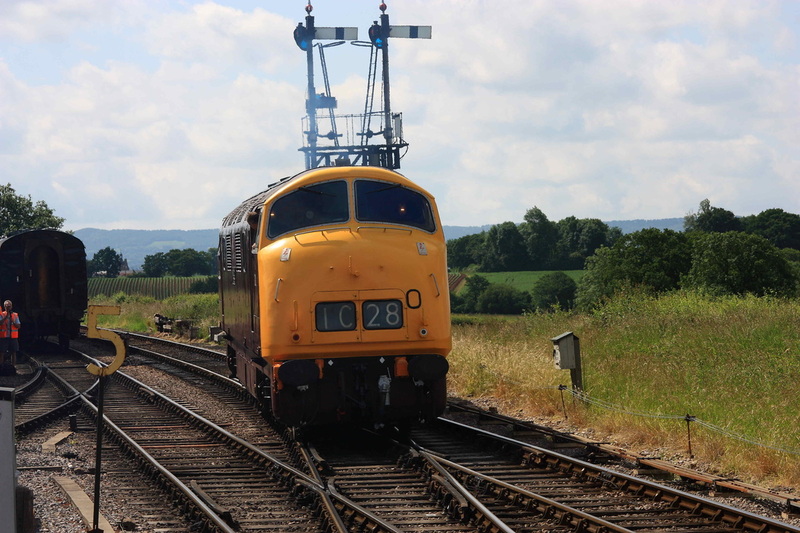 Hymek 7017 pilots D1010, climbing into Watchet station. 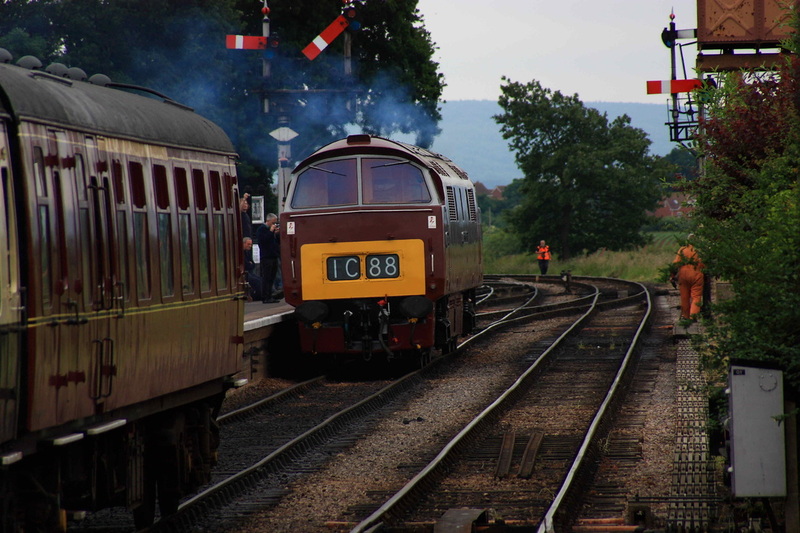 A pair of Teddy Bears enter Watchet. 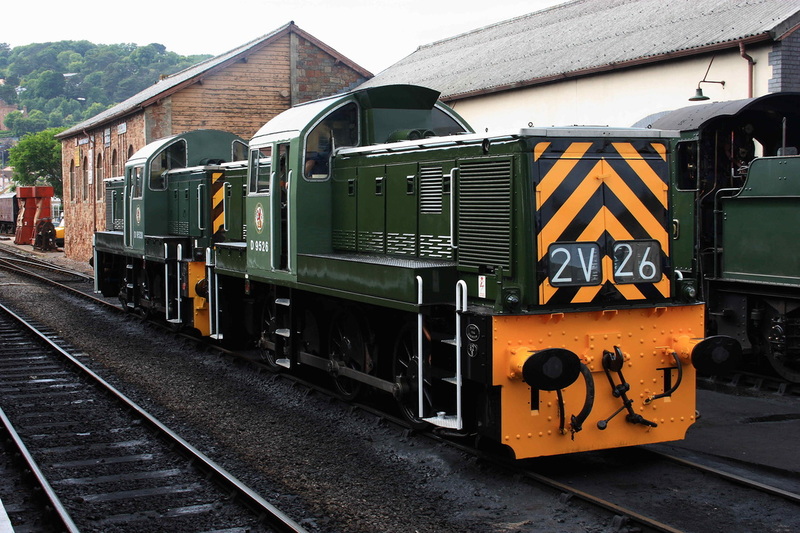 D9520 and D9526 head a service to Minehead. 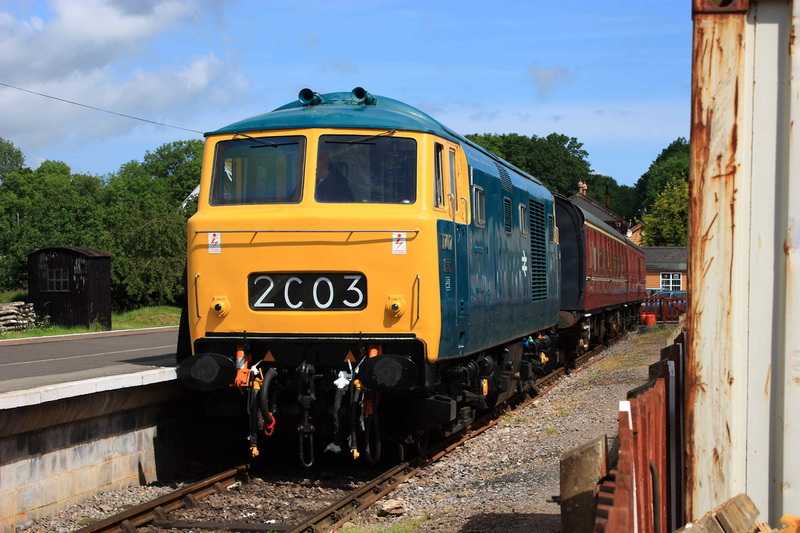 My first haulage behind this type. 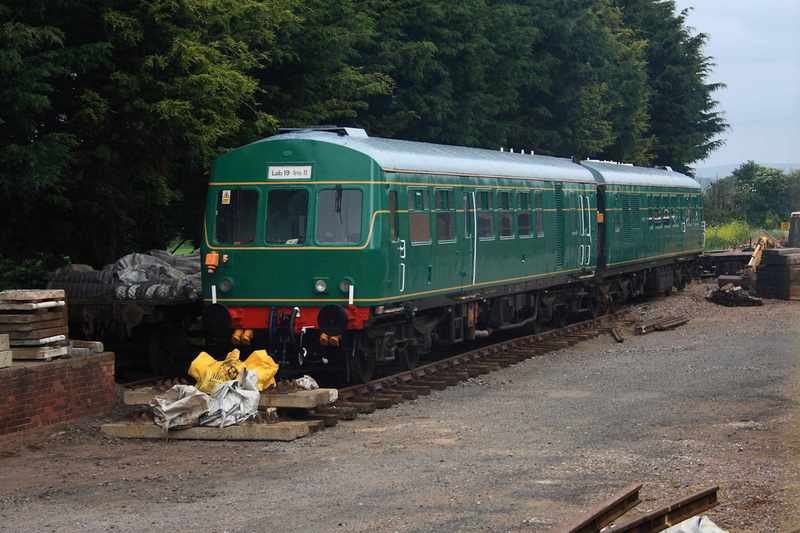 Classs 101 DMU at Minehead. Teddy Bears beside the seaside. 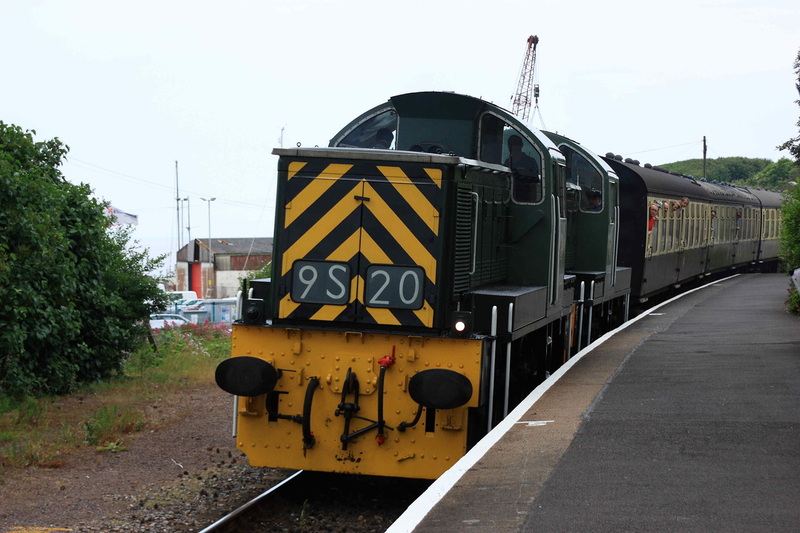 Warship D832 is framed by the semaphore at Minehaed station. It had by now become overcast, but was still very warm. Time for beer!! 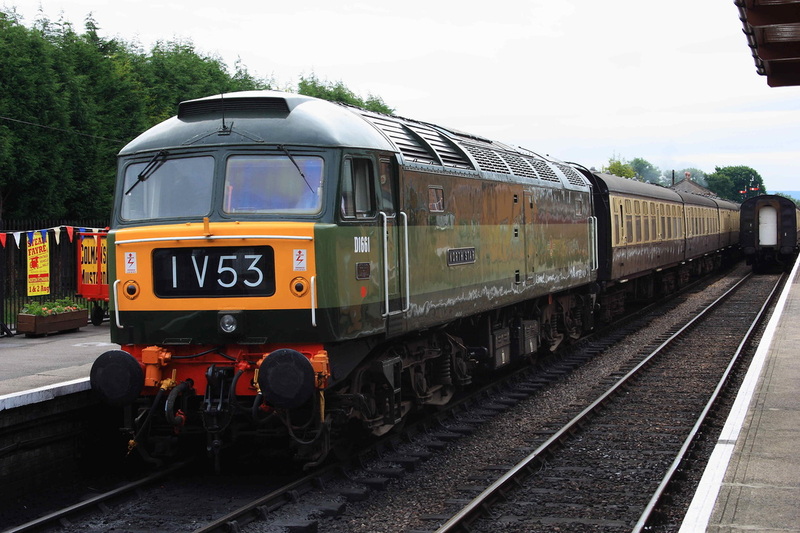 Sunday 14/6/2010, and finally, just a few shots before heading to Taunton for a few hours on the station, and our train back home. 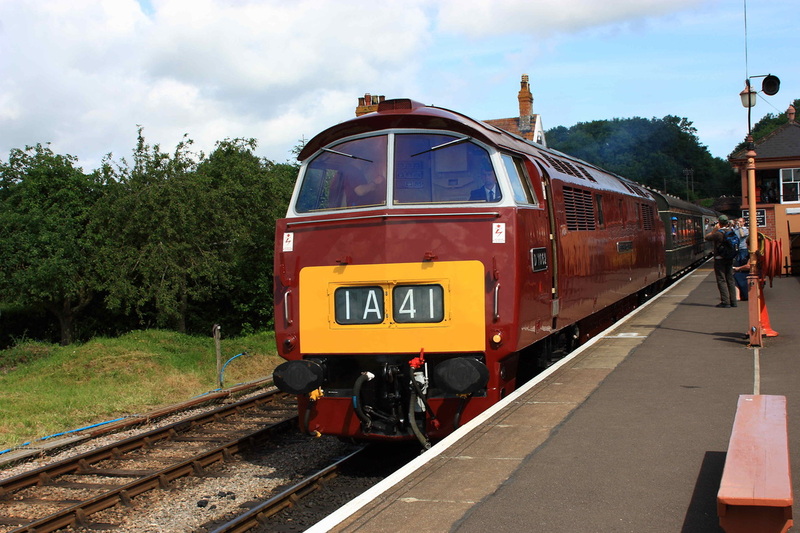 D1062 arrives at Bishop's Lydeard. 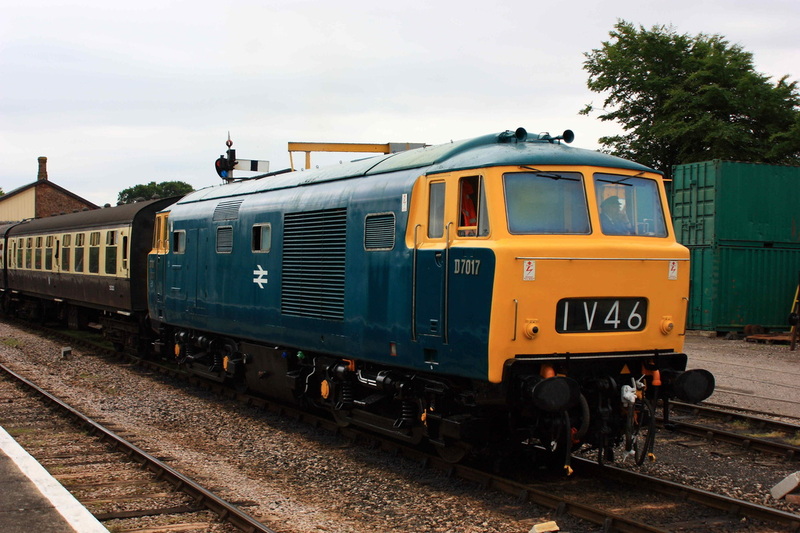 The diesel-hydraulics performed faultlessly whilst I was here, and we can be thankful to the groups who keep them running for their time and dedication, so that the sounds of yesteryear will be around for a few more years to come. 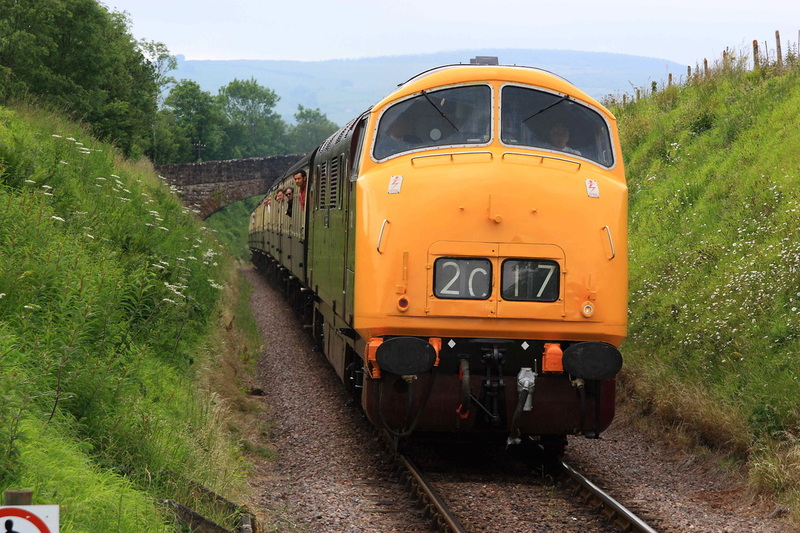 I also look forward to D1062 returning to the mainline in the future.